CSAMT is modern audio-frequency-domain electromagnetic sounding method. In recent years popularity increase because of high data quality, cost and time effectiveness and relative easy interpretation. CSAMT belongs to electromagnetic frequency domain methods, magnetotelluric methods with fixed grounded artificial in depended stable signal source. Result is resistivity model of environment. The resistivity of geological environment relate to geological blocks. Basic factors affecting resistivity are petrographic structure, mineralogical contents, porosity, pore fluids and presence mineral assemblages. CSAMT provide information about geological structure, lithology, presence of faults and other tectonic features underwater levels underwater movement, salinity and contaminants. In cooperation with magnetotelluric, gravimetry, magnetometry and seismic provide powerful and efficiency tool for deep investigation. Vertical resolution of methods is from 50 m to 1500 m ( in suitable geological conditions up to 2 km). Vertical resolution depends from using transmitting. Standard AMT frequency are ( od 0.5 do 8192 Hz). Lower frequency offers deep information, but extend duration of measurement. Advantage of CSAMT towards AMT is using artificial transmitting source of signal what afford opportunity in areas with high-level electromagneticnoise and AMT signal is hard detected or is not present. Basic theory of MT (magnetotelluric) method has been in 1953 – Cagnaird a 1950 – Tikhonov. From 1975 are develop control source system Goldstein a Strangway, Zonge a Hughes. 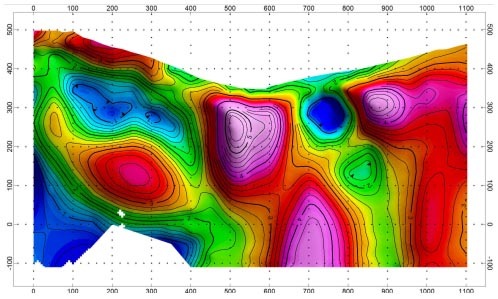 METAL EXPLORATION: Geological mapping, prospecting of massive sulfide mineralization, prospecting of hydrothermal altered, zones of impregnation, faults structure. Measuring requires transmitting of electromagnetic control signal with exact frequency on transmitter site and recording of electric and magnetic component of electromagnetic field on receiver site. 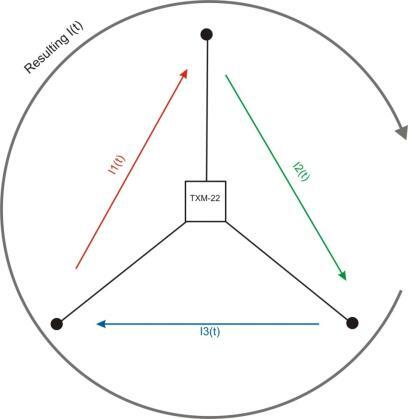 Distance between transmitter and receiver is from 5 to 15 km and depends on depth of exploration and resistivity conditions and quality of signal (nose level). Transmitter is during the campaign static. Receiver is moving along measurement station. Density of station along the line is limited factor for lateral resolution. Distance of station can be from 25m to 500m according geological problem. 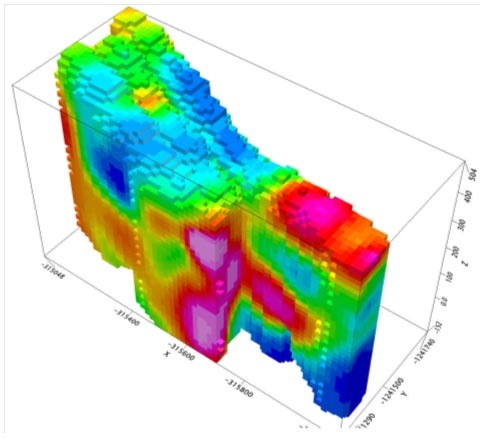 Vertical resolution and depth of measurement is depend of using frequencies and resistivity of geological environment. Vertical resolution is generally from od 5 do 20% of depth. On transmitter side we use grounded tripole. It make possible rotate of current vector. Length of dipole branch is from 500 to 1000m. Maximum current of our configuration is 60A. 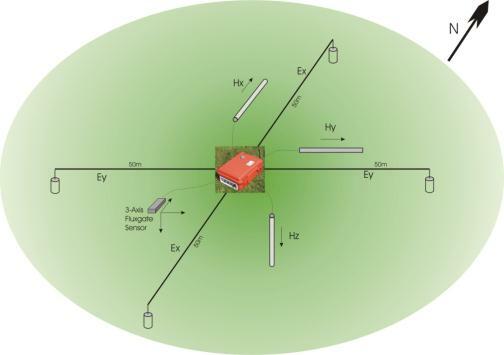 On receiver site magnitude a phase can be measured from 2 to 5 electric a magnetic components Ex , Ey, Hx, Hy, Hz. 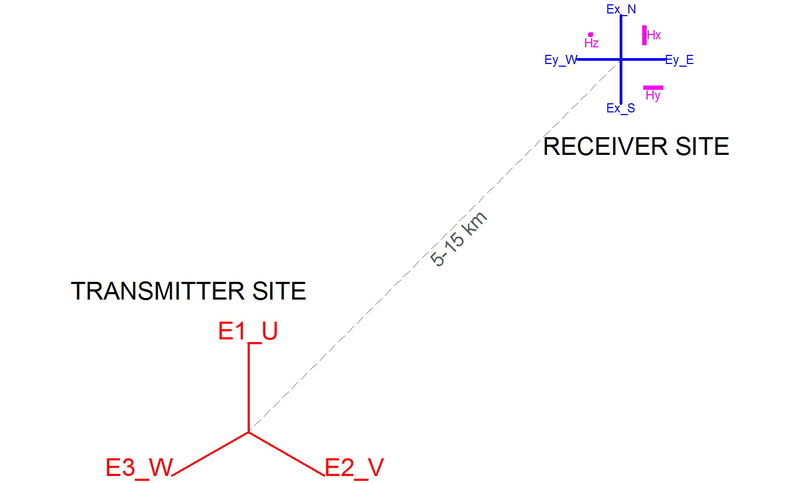 Ex, Ey are perpendicular on each other electric dipole. Hx, Hy, Hz are magnetic components. h = 356* √ρ/f , directly proportional of resistivity of environment and inverse proportional of frequency. 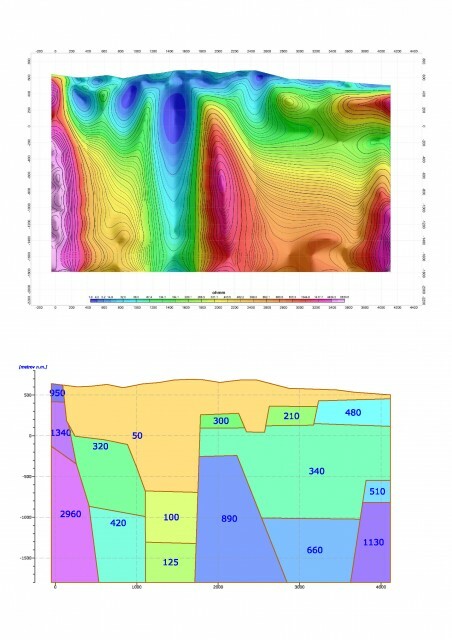 With decreasing resistivity and increasing frequency is depth exploration more shallow. With increasing resistivity and decreasing frequency is depth exploration more deeply. Changing of frequency we obtain vertical sounding curvature. First step of processing is PREPROCESSING. Data are recording in time dependence from all sensors. Task of preprocessing is by using Fourier transformation carry on data from time domain to frequency domain. After finishing preprocessing we get *.edi format – it is international standard format of electromagnetic data. In next we are using 1D a 2D inversion for creating resistivity models. 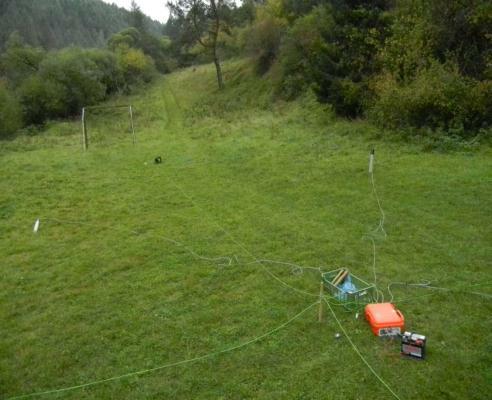 Result of measuring are resistivity vertical sections, resistivity blocks models and also horizontal sections and 3 d resistivity models. Koral company owns complete MT/CSAMT systems, inversion processing software ZOND1DMT a ZOND2DMT, and we have also tight cooperation with MT/CSAMT equipment producer METRONIX and with author ZOND software. Result of good cooperation is case study from 2013. Main CSAMT projects: metal exploration veins Strieborna and Čucme, Pača area Rožňava, talk deposit Gemerská Poloma, tunnel in Soroške, hydrogeological exploration: Dargov, in area Bešeňova-Lúčky and Demänovska dolina.